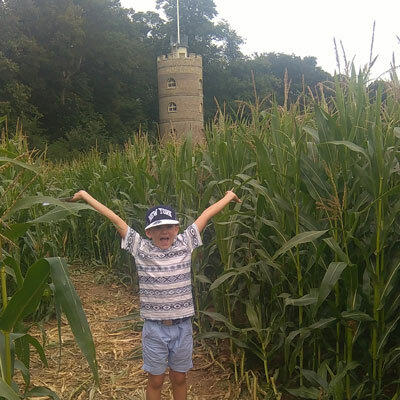 Quex Maize Maze & Field of Fun is part of the MAiZE incorporation who are based in America and we are happy to say that we are the only member of the MAiZE Family based in England. 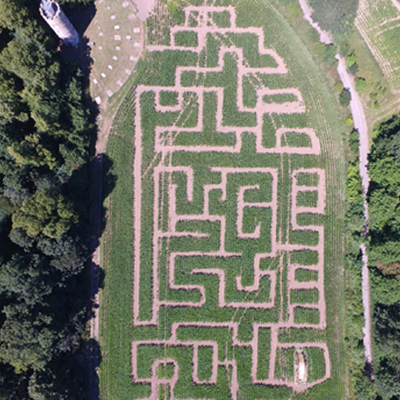 The design of the first Maze this year is a huge Labyrinth, and the aim is to simply navigate your way around the intricately designed pathways to find the middle of the maze. 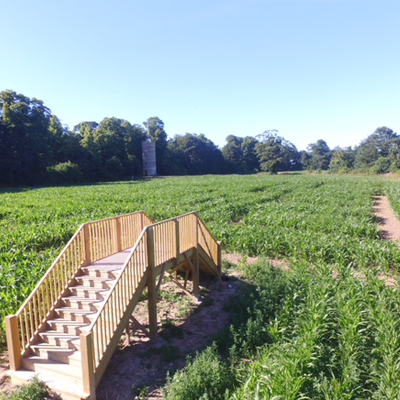 We have introduced a giant lookout bridge this year, which is located at the beginning of the maze. Climb up this high-rise bridge, take in the views, and see if you can spot the middle from up there. If you are clever enough, you may be able to memorise some of the paths from looking above and help you find the centre quicker than your friends and family.